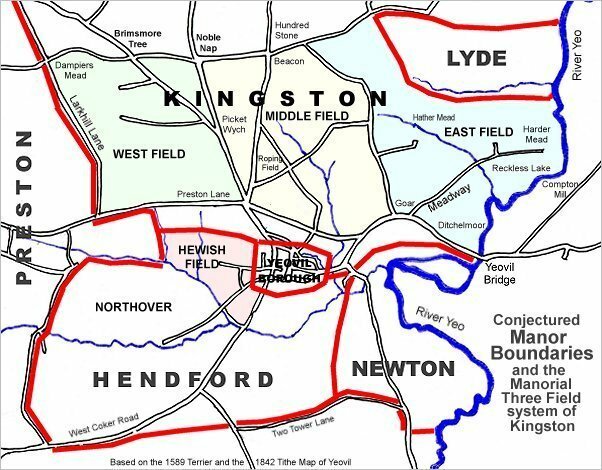 Long Milford was originally a field within the great Middle Field of Kingston Manor. The origin of the name Milford is something of a mystery; today's Milford Road was originally simply a field access track (it was still partly a track even into the 1940s) and certainly Milford Brook cut across it at the lowest point of Milford 'Dip' and there would be no need for a bridge for cattle. This, of course, would account for the 'ford' part of Milford, but it is almost certain there was no mill along its length. The 'mil' is most likely to have been a corruption of 'middle' in the local patois - still heard even today. Having said that, the name Milkeford was recorded in the 1589 Terrier. Long Milford was located on the southern side of Milford 'Dip' with its eastern boundary running alongside Milford Stream and its boundary to the west being a field known as Bare Hills. 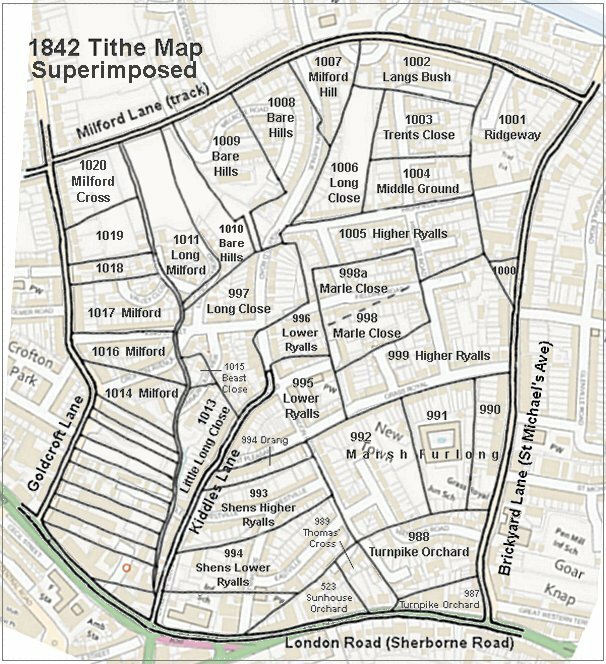 By the time of the 1842 Tithe Map Long Milford had been allocated the Parcel Number 1011. 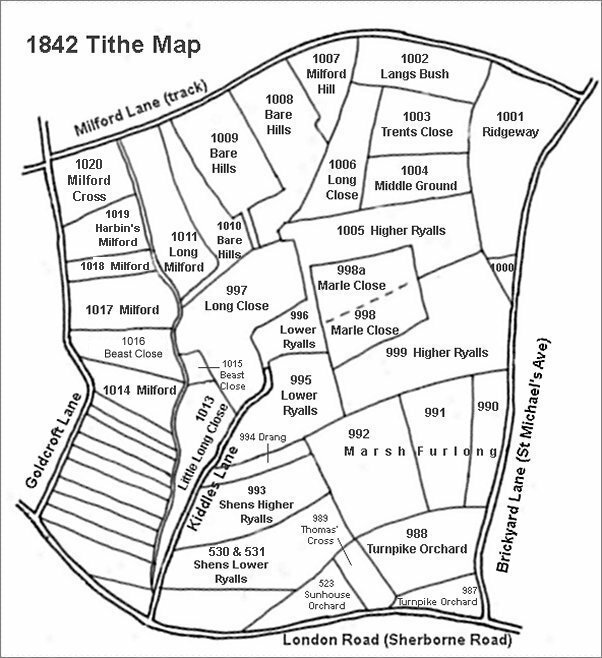 The Tithe Apportionment of 1846 noted that it was used as pasture. By the time of the Second World War, with the pressing need to grow food on every available piece of land, all three parcels of Bare Hills, together with Long Milford and plots 1017 to 1020 (to the west of Milford Brook) were being used as allotments. Today, the southern third of the former Long Milford is occupied by Portreeve Drive. However the remaining two-thirds of former Long Milford, together with former Parcel 1010 Bare Hills, are the only remaining area of green space in the area shown in the Tithe Map below. 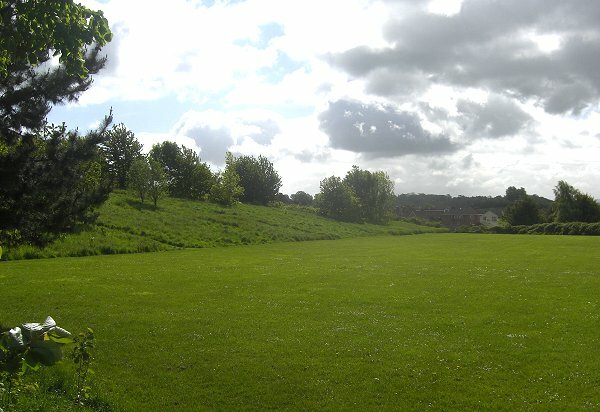 Where Long Milford has been completely re-landscaped to form a playing field (photographed below) Bare Hills (1010) still retains some of its natural topography but today is all but waste ground. 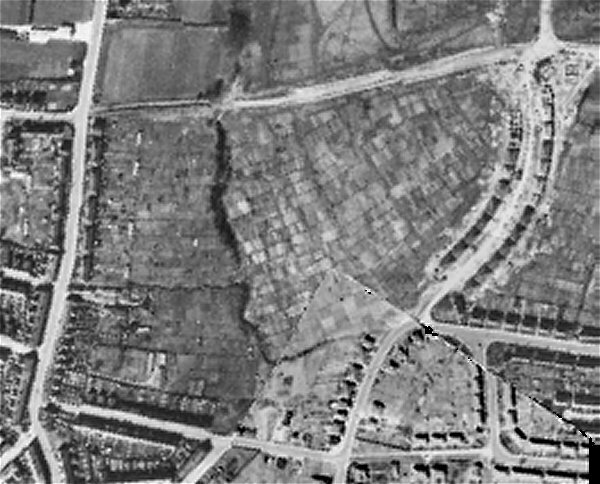 The 1946 aerial photograph shows Bare Hills being used as post-war allotments. Note that even at this time Milford Road was still only a farm track at its eastern end (top left). 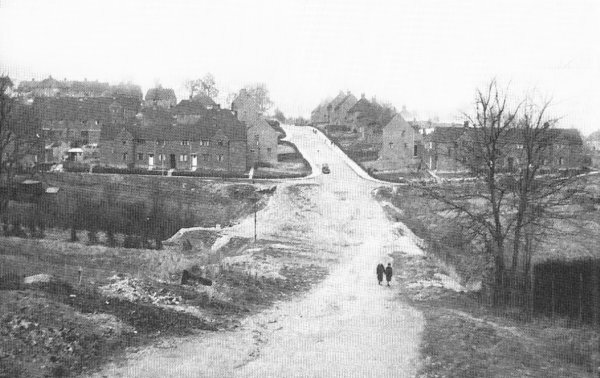 At left is Goldcroft and at right is newly-built Chelston Avenue. The ragged dark line running from Milford Lane down the photograph just left of centre are trees marking the route of Milford Brook. To its immediate right is Long Milford (Parcel 1011) and to its left are former Parcels 1017 to 1020, backing on to the rear gardens of properties in Goldcroft. Milford 'Dip' seen from Milford Cross (at Goldcroft) circa 1950. The houses at right, in Milford Road and Melrose Road were built on former Parcel 1009 of Bare Hills. The former Bare Hills (1010) and Long Milford (1011) fields are at right behind the trees and still being used for allotments in this photograph. The former Bare Hills (Parcel 1010) to the left and Long Milford (Parcel 1011) to the right, heavily remodelled to form the current playing field. This is the only open space remaining from the Tithe Map area above. Photographed in 2014 from close to Milford Road looking southeast. Milford Brook, now presumably in a culvert, would have run from roughly where I stood to take the photograph in a more-or-less straight line in the direction of the house seen towards the right side, which is in Portreeve Drive - built over the southern third of Long Milford.